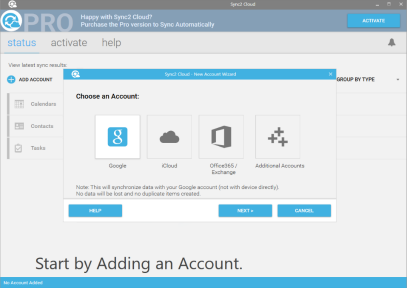 With free Sync2 Cloud software you can add your iCloud Calendar to Microsoft Outlook 2007, 2010, 2013, 2016. You can access and edit your Calendar events either in iCloud or Outlook. 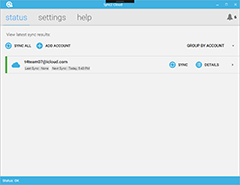 Sync2 Cloud gives you the possibility to import or export iCloud Calendar to/from Outlook. You will be able to see, edit and share calendar events on your iPhone, iCloud and Outlook. With Sync2 Cloud you can sync your iPhone Calendar with Outlook via iCloud. After the synchronization, your iPhone Calendar will be transferred to Microsoft Outlook, so you will be able to see and share your calendar events from iPhone and Outlook. Repeat steps 3-6 to add Calendars from other iCloud accounts, if you want to sync Outlook with multiple iCloud accounts. Note: You will need to enable your iCloud account to your iPhone device to begin the synchronization process. After iCloud and Outlook synchronization, your iCloud Calendar will be added to Outlook.